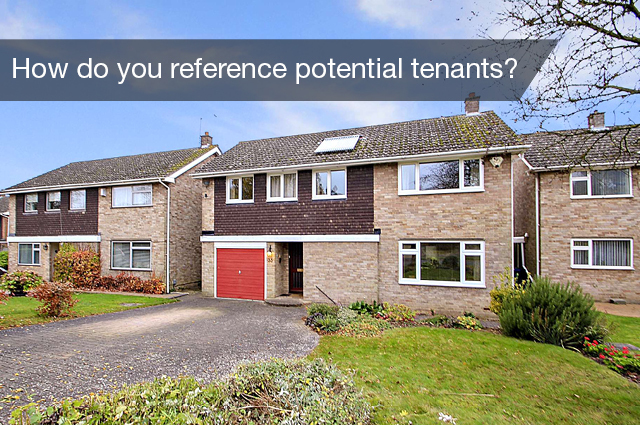 The reason for referencing a potential tenant is to make sure that they are suitable to rent the property and will be able to afford the rent for the duration of the tenancy. That the applicant has a satisfactory credit rating – being registered on the electoral register has a significant effect on the applicant’s credit score. That the applicant is employed, earns the salary as reported on their application forms, and that the salary is sufficient to be able to afford the rent. That previous tenancies, if any, have been conducted in a satisfactory manner. There are many people who do not fit into a box in quite the same way as this and often we need to think more laterally. Those who do not fall into the ‘easy-to-reference’ category include the self-employed, retired people, students, company lets and those coming from overseas. In these cases it is important to obtain as much information as possible. You can never be entirely certain that the tenancy will be conducted as you would hope, but the bigger the picture you can draw, the better. Your rental property is likely to be one of your most important assets and if there is any doubt about the tenants, then it is sensible to be cautious. If all referencing avenues have been explored and there is still insufficient evidence that the rent will be paid, then there are two further options. You can ask for all or some of the rent to be paid in advance, or have a guarantor to guarantee the tenancy. We take these courses of action frequently and they are a good investment of time and effort. For those coming from overseas it is also important to check that they have the right to be in the country. The tenant should have a valid visa (if necessary) for the entire period of their tenancy. This is one of the 50 most asked questions in our new book: Landlord Intelligence.